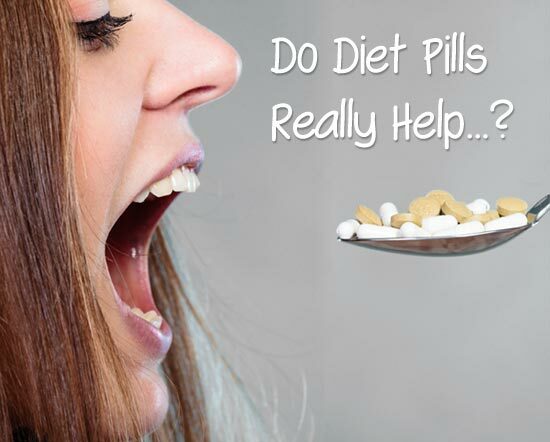 Do Diet Pills Really Work? Are They Safe? With the internet being plagued by thousands of diet pills every day, it becomes a very difficult choice to choose one which will work for you. 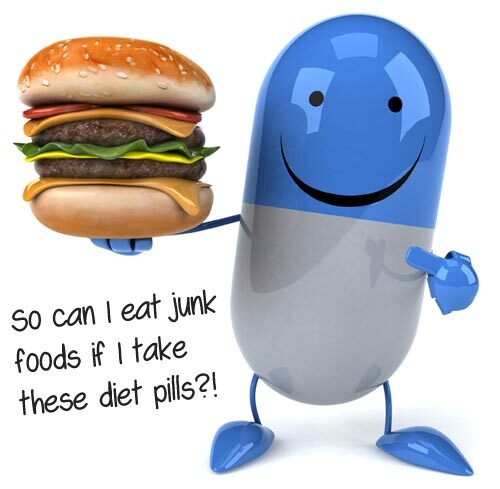 Every pill out there claims to be the best, but what they don’t tell you is how they can affect your health adversely. The side effects range from simple headaches and nausea to heart attacks and permanent organ damage. Hence, it becomes very important that you make an informed choice. Here are five diet pills which have a high success rate while having minimum side effects. The criteria for this list are effectiveness, natural ingredients and side-effects, but the cost of these pills are not one of the deciding factors. Being “voted” the top weight loss pill for women, Liporexall has enjoyed its share of success. Made up of nine clinically proven compounds, Liporexall claims to help you boost metabolism and lose a lot of pounds quickly. They claim that you can burn up to 300% more body fat when you are on these pills. Very few side effects have been reported, but the company is confident and promises money back guaranteed, no strings attached. Although the reviews don’t look great , this is definitely a popular capsule. Alli is one of those diet pills which help you lose fat and weight by reducing the absorption of fat in your body. Alli pills claims to reduce fat absorption by 25%. Although it must be noted that these FDA approved pills only work when you do! It helps improve your results from a better diet and daily exercise. Side effects are caused only if you eat extra fat than is required. UPDATE: There have been some rare cases of liver failure as reported by the fda over here , so better take this product carefully. Many low fat, but tasty recipes are provided on the company website. A word of caution, Alli pills being very popular are copied a lot, and you can end up buying a cheap knock-offs. So, make sure you buy it from a reliable source. Another highly rated weight loss pill for women, SlimQuick extreme, is actually a gel capsule. It contains natural ingredients like Yohimbe, Hoodia Gordoni extract, Loranthus, Pu-erh Tea. SlimQuick Extreme tackles water retention, increases energy levels and rate of metabolism, aids in breakdown of fats and also helps suppress your appetite. Apparently, the gel nature of SlimQuick Extreme pills helps the ingredients to be released better as compared to powdered capsules and tablets. SlimQuick Extreme pills, consumed along with a 1400 calories diet daily, can help you lose about 25 pounds over a period of 90 days. D4 Thermal Shock pills are a product of the super famous company, Cellucor, which is a bodybuilding supplement manufacturing giant. Just by that fact, these pills become credible. Containing extracts from Amla fruit, Yohimbe, Willow bark, Passion flower and Caffeine, these pills promise to blast fat while cranking up the energy levels to high! They will also boost your metabolism making you burn calories throughout the day. Taken two pills a day and coupled with daily exercise can burn about 50-60 pounds in 5 months time! And finally we come to the most famous of them all, the Lipozene diet pill. Lipozene is a herbal supplement that promises to be the “last word” in weight loss pills. It claims to be a chemical-free pill that guides you towards your weight loss goal. It was developed by an American company named Obesity Research Institute. As a herbal supplement, it brings about overall weight loss in a safe manner without indulging in any kind of exercise program or dieting. It curbs your hunger and makes you feel fuller faster. There isn’t a specific list of ingredients available for this pill. Glucomannan is the advertised ingredient that causes weight loss. It is a type of fiber derived from the root of a konjac plant. Soluble and insoluble fibers are known to make you feel full faster, which is how Glucomannan works. Glucomannan is a soluble fiber , which when consumed expands on contact with the water inside our stomach. This makes you feel full faster, and daily consumption is drastically reduced. Additionally, it slows the absorption of sugar and aids in controlling cholesterol. Lipozene has caused many consumers to lose weight, but mostly results are slow, and the advertised weight loss is rarely achieved. As this pill is basically just fiber, it only reduces our daily consumption by making you feel full faster. Lipozene is to be taken 30 minutes prior to a meal. It forms a gel-like substance in the stomach and thus controls calorie consumption. This indirectly causes weight loss due to the calorie deficit formed, but only if you eat relatively healthy. With proper exercise and diet, it will cause you to lose weight but nowhere near what it claims. Lipozene has shown positive results in users who coupled it with proper exercise. It helps control constant snacking. But this can be achieved by adding other soluble fiber sources like oats, barley, passion fruit, edamame (preparation of immature soybeans) etc., in your daily diet. Lipozene has a few side effects like excess gas, which is not dangerous, just uncomfortable. Also, this pill can slow down absorption of other important nutrients by the body, which means daily vitamin/mineral supplements become necessary. Another issue with this product is the lack of information about ingredients other than Glucomannan. Their potential side effects or harmful interaction with other medication hence remains unknown. It is a potential risk consuming a pill with unknown constitution. Another possible deal breaker is the cost. We can take 1-2 Lipozene pills before each meal, with a maximum of 6 a day. Cost of Lipozene is 29.95$ for a bottle of 30. At approximately 1$ a pill and 6 pills a day, cost seems excessive. Some bloggers have reported drastic results on the pill and hence, with not so impressive results and a steep cost, Lipozene hardly seems appealing. However, it has lesser side effects compared to most diet pills out there so if it has to be a diet pill, it might as well be Lipozene. Now, apart from these five, there are literally hundreds of other diet pills which didn’t make my list, but you cannot go wrong with these above mentioned pills. However, like always, consult your doctor before you start taking any of these diet pills. Honestly, for someone who has lost over 40 pounds in the last couple of years without taking any pills/shakes/supplements, I would say that IF you want to lose your bad fat AND keep it off for the long term, all these “quick fixes” won’t help. What you need is more of what I call an “every day change”, a change in behavior, a change in your daily plan, a process. Yes, fat loss is a more of a process than a “one time event” where you gulp something and presto, you are slim! I highly recommend looking into weight loss programs rather than going for such fixes, as the former will allow you to get back in shape with the least amount of “invasion”. Is Zanterax 3 Another Scam? Hi I just read your article on these diet pills. I’m disabled with a broke back and nerve damage that’s looking more permanent than originally hoped. I’m able too go through most of my physical therapy program but walking I don’t have the strength yet. Alli is FDA approved so that’s leaning towards it. I have to loose wait to build any strength in my core to be useful in my life. Any suggestions would be Appreciated.